Photography is more than just a hobby, it’s also an art. There are people who have developed so much skill in photography that they decide to make a profit out of it. With this in mind, individuals set up businesses that center in every aspect of photography. Since it’s a business, it operates just like those in the corporate world by getting clients, earning a profit, and even creating invoices. 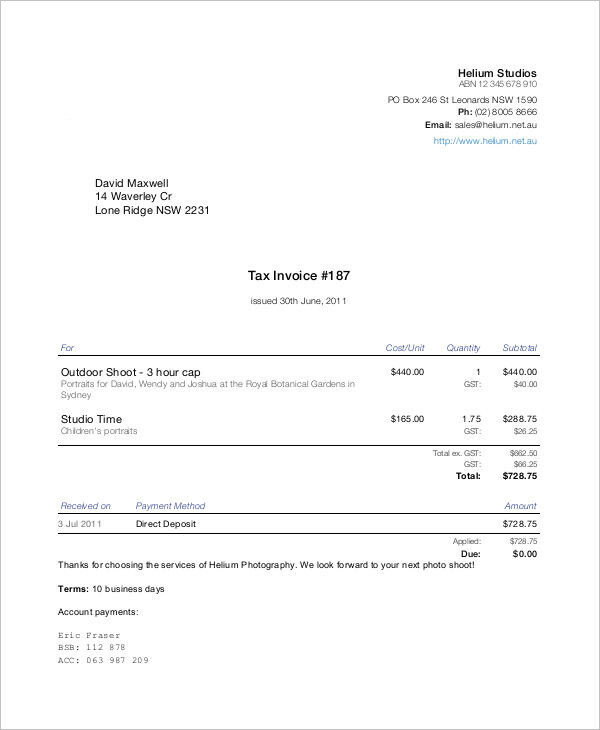 What Is a Photography Invoice? 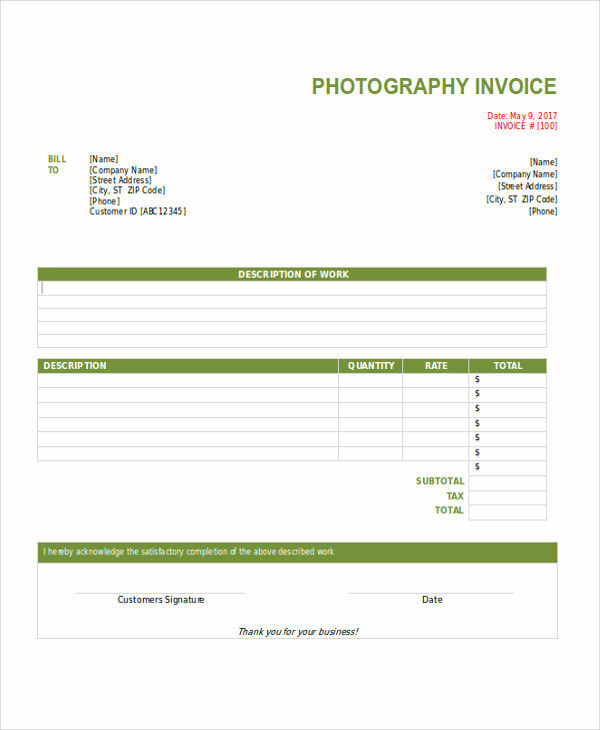 A photography invoice is a type of business invoice, specifically those that specialize in photography, to their clients. It typically contains a list of items or services that are being availed by a client. 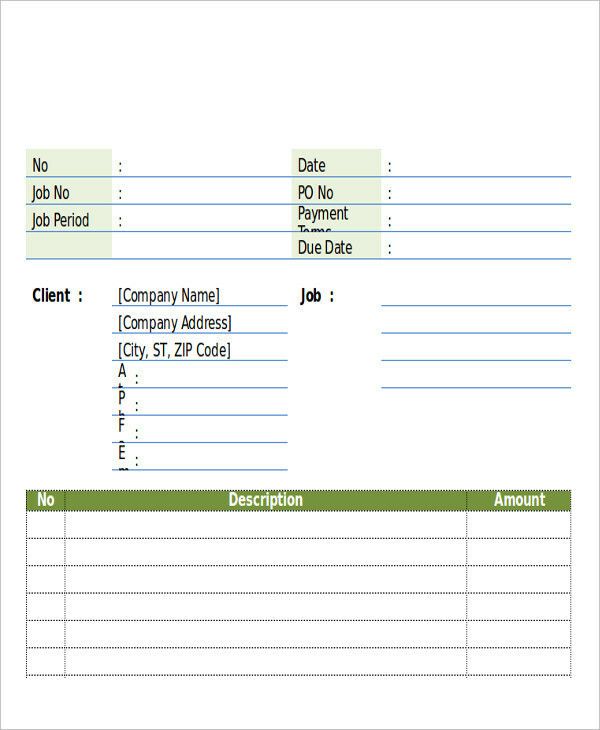 Other details, such as contact information and event details, may also be indicated in the invoice. Some companies also opt to state their given terms and conditions for a client to consider. 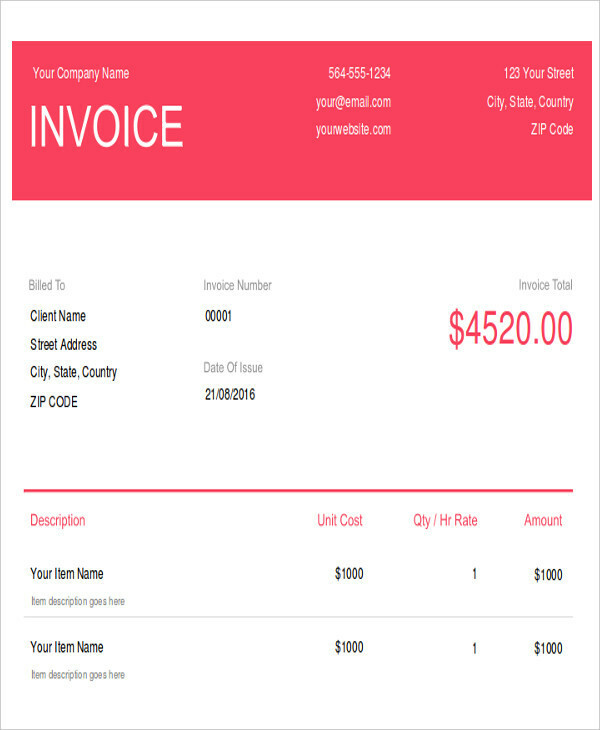 This type of invoice is structured similarly to other invoice examples. 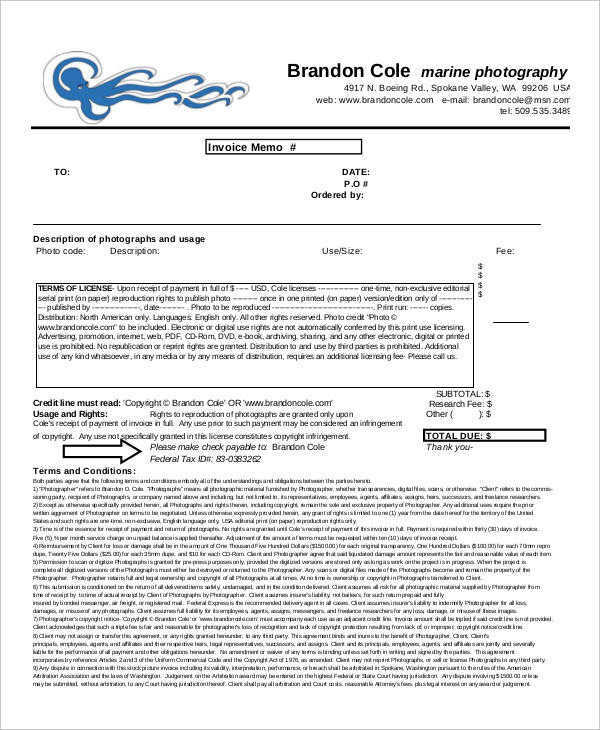 A photography invoice does not have an exact format, but it still contains the significant information found in a standard printable invoice. First, state the essential information of your client. Next, you would need to identify the work description given to you by a client. 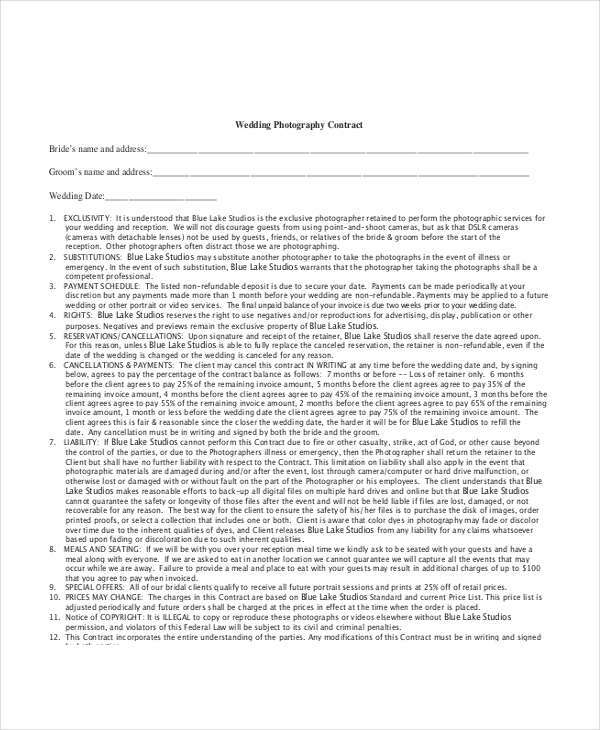 Are you hired for a particular photo shoot or as an event photographer? This will give you and your client a clear basis on the agreed role. Just like a sales invoice, you would also need to specify the agreed amount for your item or service. It’s best to show a breakdown of these costs as well. 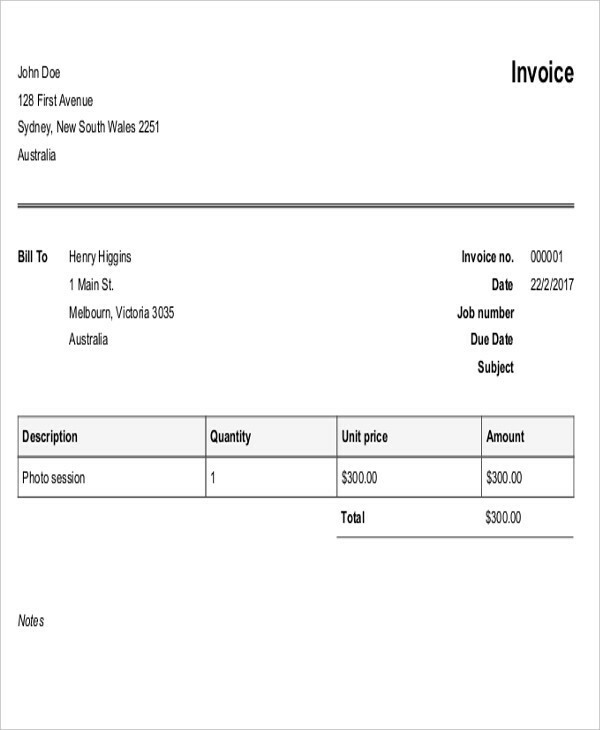 An order number or an invoice number may also be useful for tracking purposes. 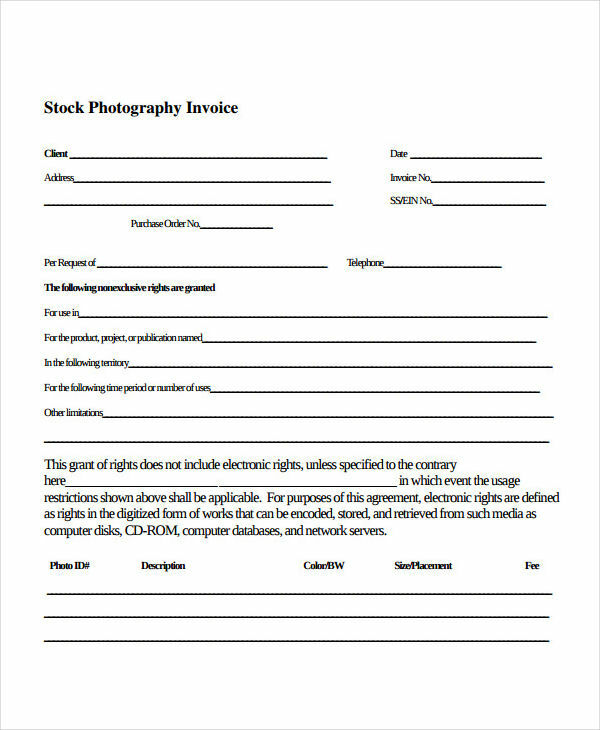 Why Is a Photography Invoice Needed? We define an invoice as a document that specifies an incurred payment. With this, a company may inform their customers of a payment that must be made in order to receive offered goods or services. Clients may also use this as reference for whenever a company fails to meet what is expected from them. 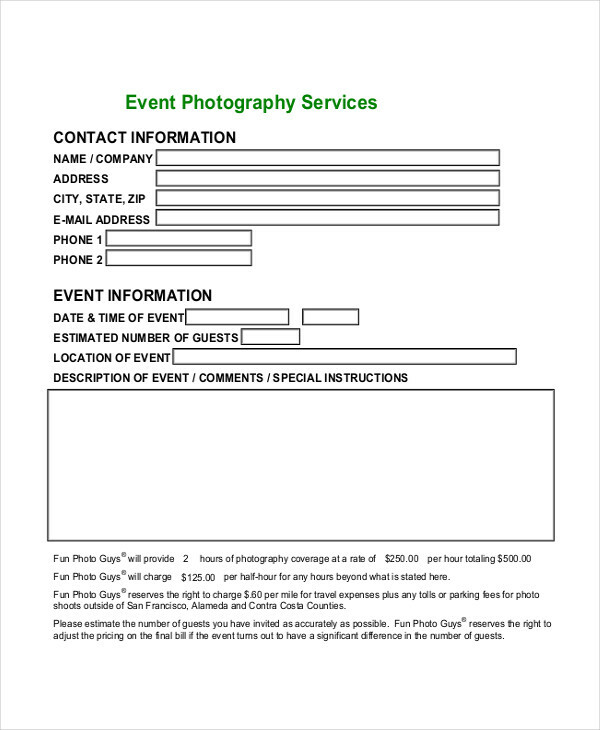 For instance, a photographer issues an invoice that is inclusive of a photo booth for the event. However, on the day of the event, there is no photo booth in sight. You’re basically asked to pay for something that is nonexistent. With an invoice as clear evidence, you can settle matters properly. Provides a good image for your company. This level of professionalism will develop a sense of security with your clients. Great for keeping records. This would be for customers and business owners alike. A customer may trace personal expenses while a business owner may track sales. Provides clarifications for a customer. Naturally, if you work two hours more than what was agreed during your meeting with a customer, then the payment would have to be more. 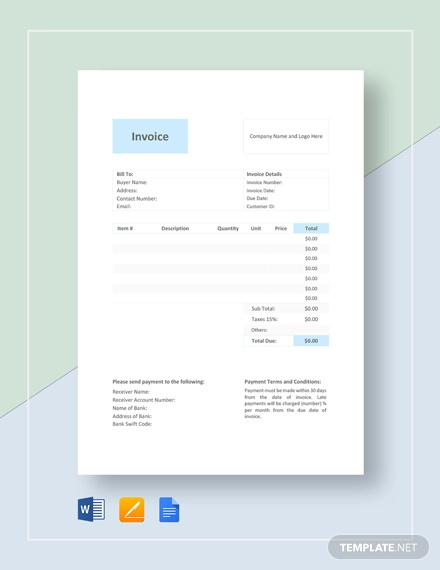 An blank invoice will provide a heads up for your customer to be informed of your terms beforehand. It avoids possible delays in payment. An payment invoice will give the client enough time to prepare the money needed to pay for your services.